The following guidance might be useful in supporting the Welsh Bacc Individual Project Proposal, as well as other student-led research projects. 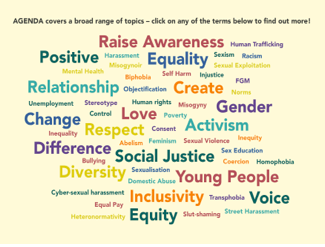 If students are interested in any of the topics featured in the wordcloud (p. 6), one click on the word, and it will connect students to information or a case study, where they can read more about the issue, and follow the information links to find out more. 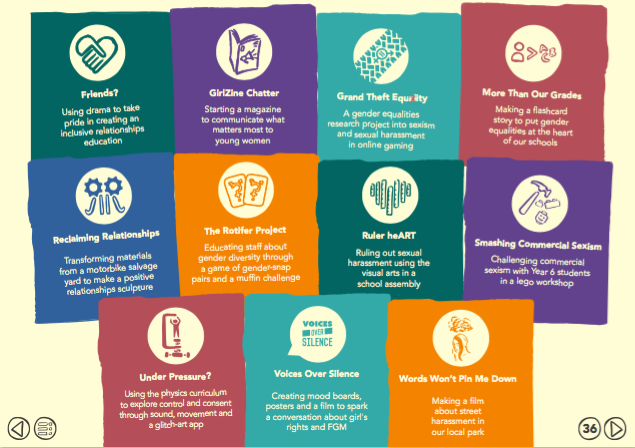 Invite students to read either Section 5 Young People Making A Difference in Wales. 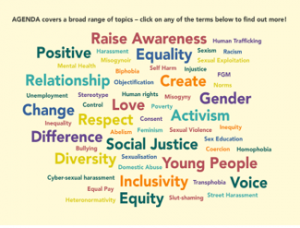 There are 11 illustrated case studies here that cover a vast range of issues that young people can then use the information icon links to research more into the issue, and create their own project brief. 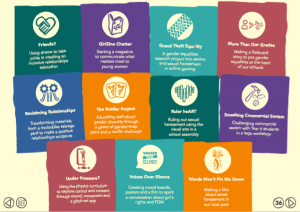 The following Individual Project Proposal briefs have been developed by the Agenda Working Group (Cardiff University). Each brief includes links to a wide range of resources to support students in developing their research ideas including: useful websites; primary data sources; blogs and vlogs; key researchers in the field with links to their research papers.